This level have one new thing that is meringue block which need to be break by combining candies near to it and as you break any meringue it will also break other next to it and then candies can fall into jellies. 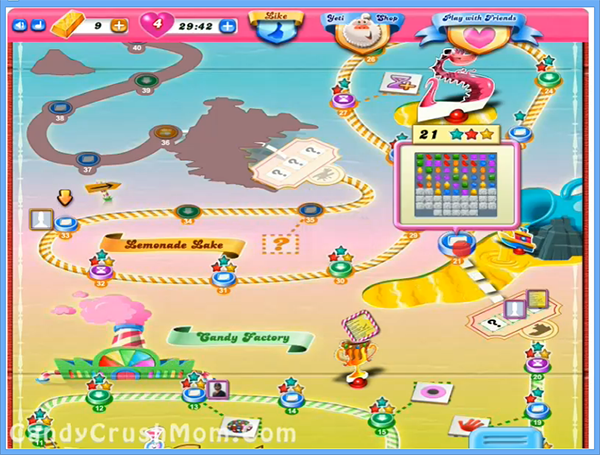 You should just try to combine candies near to it to clear the level and you wont need any special candies like striped as the requirement is easy and you can reach to targeted score comfortably. You could use colorbomb or any other special candy if you want to complete level with 3 start that you can also see in a walkthrough video. We completed this level with 119880 score within just 38 moves as we try to use special candy but you can still complete level without it by just matching normal candies to break jellies and if you need to make 3 start score then try to combine more candies where you can get chance.